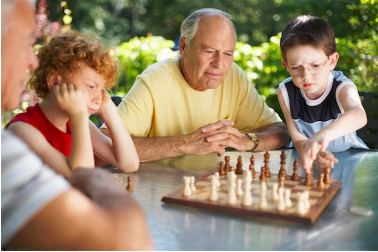 The Friends and Family tournament is open to anyone of any age who is not participating in the championship but knows the rules of chess and would like to play. It will be held in the green Game in 30 room. The format will be either round robin or Swiss, depending on number of participants, and sections may be split by age or rating. There will modest cash awards for top performers and tokens of participation for all. All games will be NWSRS rated, and USCF rules of play apply. If you would like to play, purchase tickets at the “B” Hive on Friday or the OSCF store in the Skittles room on Saturday Morning. The cost is $10.00. The only information we need is your first and last name (print legibly please) and your approximate rating. Please report to the playing room at least 5 minutes before the start of each round, and Good luck!